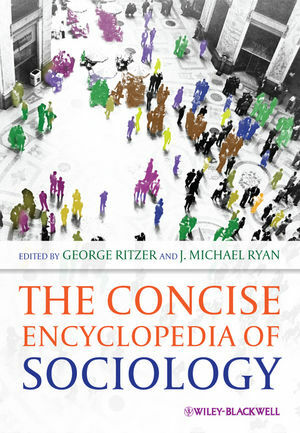 This concise encyclopedia is the most complete international survey of sociology ever created in one volume. George Ritzer is Distinguished University Professor at the University of Maryland, with awards that include the American Sociological Association's Distinguished Contribution to Teaching Award. He is the author of numerous books including The McDonaldization of Society (1993; 2008), The Globalization of Nothing (2003; 2007) Globalization: A Basic Text (2010) and the editor of The Encyclopedia of Social Theory (2005), The Blackwell Encyclopedia of Sociology (2007), The Blackwell Companion to Globalization (2007) and the forthcoming The Blackwell Encyclopedia of Globalization. His work has been translated into over twenty languages. J. Michael Ryan is a Ph.D. candidate in sociology at the University of Maryland at College Park. He was senior managing editor of The Blackwell Encyclopedia of Sociology (2007) and is managing editor of the online edition of that project as well as for several other forthcoming encyclopedias from Blackwell. Mike also served as managing editor of the Journal of Consumer Culture for four years. He has published more than a dozen articles and book chapters on consumption, sexuality, globalization, and social theory and has been the recipient of numerous awards for his commitment to teaching, LGBT rights, and social change.